We ship all orders within the United States via Fedex and offer free Fedex Ground shipping within the 48 contiguous states. Fedex Air Service is available for an additional cost - please email us at CustomerCare@SoftwareDreamer.com to get the exact shipping rate. Our objective is to provide our customers with firm shipping rates on all products. All orders placed online for all products on our online catalog qualify for free shipping within the 48 contiguous states. Orders from Canada, Hawaii, Alaska, Puerto Rico, Military P.O Boxes will be charged a shipping fee. 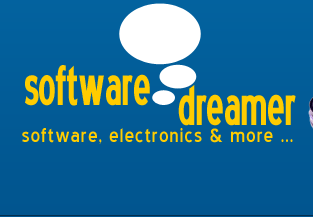 Please email us at CustomerCare@SoftwareDreamer.com to get the exact shipping rate. Proof of academic status required on all orders for academically priced products. No proof of academic status required for Commercial products. We accept all major credit cards, bank money transfers and E-Checks using PayPal. We have decided on using the PayPal service because PayPal transactions are 100% guaranteed against fraud and also assures your order being shipped promptly. We also accept personal checks and money orders, please contact Sales@SoftwareDreamer.com if you would like to pay via these methods. All products are brand new and come with full manufacturer's warranty. SoftwareDreamer.com has a no-questions-asked 7 day refund policy on all products that are returned in a sealed, shrinkwrapped package. Opened Products cannot be accepted as returns. We do not charge a restocking fee on returns. However, shipping charges (to and from), will be to the account of the customer on all returns.